Find Better Ideas, Faster ® with a custom billboard campaign trend report, our PRO Dashboard and 80+ categories of premium trend reports. The Billboard Campaign Trend Report looks at how brands are using billboards and outdoor marketing space in unique and immersive ways. 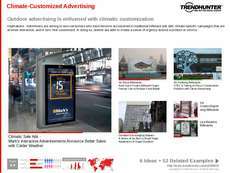 This report looks at the use of interactive billboards that are popping up across the advertising industry. 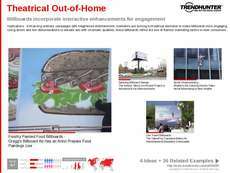 This report will also study a number of billboards that feature clever tech-based innovations, such as connections to social media and live-streaming systems. This report will benefit marketing professionals, brand managers, as well as advertisers and copywriters who are looking to revamp their outdoor advertising strategies. It can also benefit these professionals by delivering insight into a competing company's strategies and tools. This report can also be of use to digital artists and graphic designers, as well as social media professionals. 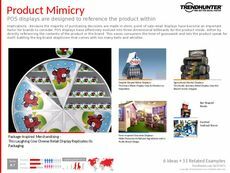 Use the the Billboard Campaign Trend Report to reach new and existing consumers in inventive ways.